The allegations by journalist Daphne Caruana Galizia that the owner of Egrant Inc is the Prime Minister's wife, Michelle Muscat, have shocked the nation. Some still choose to believe the Prime Minister's denial, and keep insisting that the allegations ought to be ignored unless there is evidence substantiating them. First of all it was the Police Commissioner's job to skip his 'fenkata' and go secure the evidence before it was whisked away in front of the nation's eyes. Contrary to what he said, it was his duty to act, even if the allegation appeared only on a blog. If those allegations were found to be false, Daphne Caruana Galizia could have been fined and jailed for making a false report. But since he failed to act, it is he who should be prosecuted for failing to uphold his duty. But let's keep the 'evidence' out of the equation for now, and simply take a look at the facts we know so far which are documented, proven and black on white. All the below information can be verified online in the Panama Papers, Malta's company register, and newspaper reports. The general election is held - Labour wins by 35,107 votes. Joseph Muscat's first Cabinet is sworn in. Keith Schembri is his Chief of Staff, Konrad Mizzi is appointed Minister for Energy. Brian Tonna, Nexia BT owner and boss, is given a desk at Castille, the Office of the Prime Minister, without having any government role whatsoever. No one knows why. The day after Cabinet is sworn in, Nexia BT partner Karl Cini emails Mossack Fonseca to start the process to "set up a Panama company and possibly a trust". Karl Cini sends a reminder to Mossack Fonseca, clarifying that the Ultimate Beneficial Owner of one of these companies "will be an individual", not Nexia BT, and details will be passed over on Skype. He also requests to become the contact person for another 3 companies registered in the British Virgin Islands, pertaining to Keith Schembri, Malcolm Scerri (who runs Kasco) and Adrian Hillman, and asks for the owners to be hidden behind a "nominee shareholder". This hides the Ultimate Beneficial Owners from being visible anywhere, except in a Declaration of Trust, safely hidden away, which would state that the nominee will hold the shares on the UBO's behalf. The application forms for these companies have the "No Audit" and "Total Secrecy and Confidentiality" boxes ticked. Nexia BT also set up Torbridge Services Inc.
For no reason whatsoever, John Rizzo is removed from Police Commissioner. All pending cases against John Dalli are suddenly dropped. Oil scandal investigations come at a halt. Mossack Fonseca establishes office in Malta. Company shares are 100% owned by Brian Tonna. Offices are shared with Nexia BT in San Gwann. Socar (the Azerbaijani state energy company), Gasol (a West African energy development company), and a group of Maltese investors, are awarded the contract for the new Electrogas powerstation. The company under which Pilatus Bank operates is registered in Malta. Ownership of Torbridge Services Inc is transferred from Brian Tonna to Cheng Chen, a key official of Shanghai Electric. Shanghai Electric Power, through its Chinese-government holding company China Power Investment Corporation, signs its deal with Konrad Mizzi, as Energy Minister representing the government of Malta, to buy Malta’s BWSC Delimara power plant for €220 million and a 33% stake in national power company Enemalta for €100 million. Joseph Muscat, Keith Schembri, Konrad Mizzi and Kurt Farrugia visit Azerbaijan for meetings with the Azerbaijani President. For the first time in such official visits, no journalists or civil servants accompany the delegation, and a fuel procurement deal is signed without anyone from the Oil Procurement Committee present. The Maltese public gets to know about the visit only after it is reported in the Azerbaijani Press. New Ministerial Code of Ethics is published. The new code exempts Ministers from the requirement to include their spouse's assets in their Ministerial Declaration of Assets. The PN opposes this change and promises to reverse it when elected in government. NAO report on Enemalta 2014 hedging agreements is published. The NAO criticises Konrad Mizzi's unprecedented Ministerial involvement in Oil Procurement decisions, and confirms Enemalta lost €14.1 million through these 2014 hedging agreements. Muscat visits Azerbaijan again. Once again, no media or civil servants accompany the delegation. Konrad Mizzi signs a statement that Hearnville Inc will handle transactions funded by “personal assets and proceeds from business” and that Hearnville was “Still not trading. Eventually management consulting and brokerage.” (revealed in the Panama Papers). Mizzi’s Panamanian company (Hearnville Inc) is transferred to his New Zealand trust on the same day that Gasol sells its Electrogas shareholding to the consortium’s remaining partners for an undisclosed sum (according to The Malta Independent, this is estimated to have run into the region of tens of millions of euros). Gasol's parent company is also handled by Mossack Fonseca. Pilatus Bank, owned by a 32-year old Iranian who uses multiple St Kitts and Nevis passports, is licensed to operate as a Bank in Malta. It was refused a license by other EU countries, and only manages to obtain it in Malta. Questions are now being asked as to how the MFSA granted this license when Iran was under EU sanctions. Email trails showing attempts to open bank accounts for these Panama companies start. Karl Cini emails Mossack Fonseca to explain the companies will be used for operations related to "recycling and remote-gaming". Karl Cini emails Mossack Fonseca again, to give the go-ahead from Schembri and Mizzi to open the bank accounts for “those two Panama companies”. Mossack Fonseca email back that they have encountered a problem with opening those bank accounts. The bank has been bought by another bank and the new bank is requesting the account holders to hold Panamanian visas. Karl Cini emails back that he is collating the necessary information. Trail goes cold as the Mossack Fonseca server hack (revealed in the Panama Papers) stops here. Daphne Caruana Galizia uploads a post hinting at links between Konrad Mizzi and New Zealand. Konrad Mizzi declares he has set up a trust in New Zealand for his family's affairs. He hides the fact that it holds an offshore company registered in Panama. In the evening Daphne Caruana Galizia reveals that his New Zealand trust holds a Panamanian offshore company. Joseph Muscat says that "there is nothing wrong" with Konrad Mizzi having a Panama company. He derails journalists for believing information coming from a "hate blogger". Daphne Caruana Galizia reveals Keith Schembri holds the exact financial structure as Konrad Mizzi, with a New Zealand trust holding a Panama registered company. Keith Schembri refuses to answer any media questions. Joseph Muscat says that Schembri is a successful businessman. Truckloads of paper are removed from Nexia BT offices and whisked away by Kasco vehicles. Joseph Muscat and his family visit Dubai for six days. They spend in excess of €11,000 on hotel bills (excluding flights and other expenses). 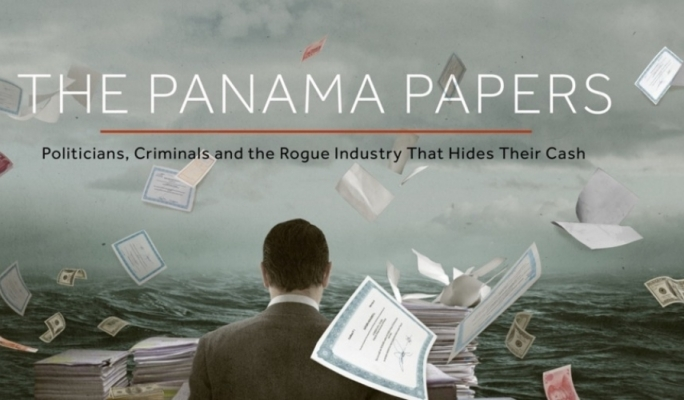 The Panama Papers are published worldwide. Mossack Fonseca offices in Panama, and their branches in El Salvador, Peru and other countries are raided. No investigation on Mossack Fonseca's representatives in Malta (Nexia BT) is initiated in Malta. Michael Cassar resigns as Police Commissioner after being handed the FIAU report, which reportedly included instructions to prosecute both Keith Schembri and Konrad Mizzi. He is replaced by Assistant Commissioner Lawrence Cutajar, who had earlier praised Muscat on Facebook for his "big balls". Joseph Muscat reshuffles the Cabinet, admits things could have been done better. Konrad Mizzi is relieved from his portfolio, but is kept as Minister within the OPM. After no prosecution is initiated by the new Commissioner, the Head of the FIAU Manfred Galdes resigns his post. Brian Tonna states that Egrant Inc has always been owned by Nexia BT, even though the 21 March 2013 email makes it clear that "the UBO will not be Nexia BT". Daphne Caruana Galizia claims that Egrant Inc's ultimate beneficial owner is Michelle Muscat, wife of Prime Minister Joseph Muscat. She reveals details of where the Declarations of Trust which show her as the UBO hidden behind nominee shareholders are allegedly being kept in Pilatus Bank. The Bank's owner arrives in Malta on a private jet, and is filmed coming out of the bank carrying two full luggages together with the Bank's Risk Manager. Rather than walk 100m to their car, they exit through the back entrance and walk around the block. Meanwhile, the Police Commissioner goes for a 'fenkata', and the Prime Minister declares he will not start an investigation "not to risk Malta's financial services sector". The MFSA is nowhere to be seen. After the Bank's manager and his luggages leave the Bank, the Prime Minister orders a magisterial inquiry. At 3.50am, a plane leaves Malta to Baku (Azerbaijan), before continuing towards Dubai (where Egrant Inc's Bank Account is allegedly being held). The above is documented. The above can be verified online. The above are facts not allegations. Now please, tell me again that you require more 'evidence' to expect the Prime Minister's and the Police Commissioner's resignation in light of the above. Our institutions are failing. Our moral code is crumbling. Our reputation is being shattered. All these can damage our economy irreparably. We are at a crossroads. If you value your country and your children's future, you cannot sit on the fence any more. You cannot expect things to sort themselves on their own. Speak up. Act. And when the time comes, vote. Malta needs to become, once again, a European and democratic country, where the rule of law applies to everyone and where justice prevails.